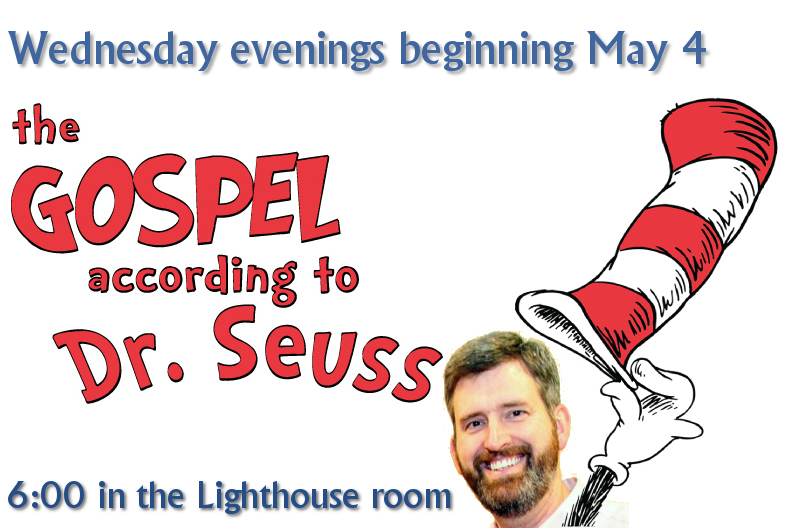 A new, fun, deeply engaging and meaningful Wednesday night study, “The Gospel According to Dr. Seuss” begins this week, May 4. We will open each night with a Biblical passage and also look at lines from Theodore Geisel’s (Dr. Seuss) famous books. His themes help us understand what is truly important in life. His messages cause us to think about ourselves in new ways. If you have never joined us on Wednesday nights I would welcome you to this very enjoyable and engaging time of study, fellowship and spiritual growth!